Enjoy new experiences in August over the summer, head out and be entertained. 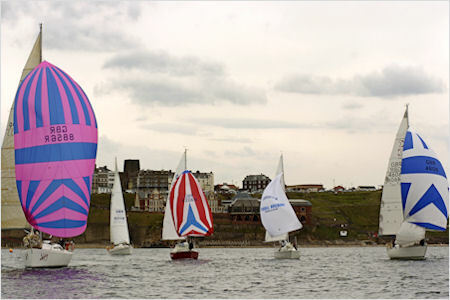 The Whitby Regatta 2018 presents a full weekend of entertainment, embracing yacht racing, rowing races and various free forms of entertainment as published in the official programme, finishing with a prize presentation and spectacular firework display. Tribfest 2018, the world's biggest, and best, tribute band music festival! The festival offers a full lineup and varied mix across all 7 stages. There’s something for everyone with bands from the 60s, to current chart acts. A festival for the full family! There are plenty of scarecrows to spot in every nook and cranny of this idyllic Yorkshire Dales village. There are two fun themed trails too – one for children and one for the adults – to find the scarecrows that solve the clues for daily prize draws to win £10 (trail sheets cost just £1!). feva is Knaresborough’s annual Festival of Entertainment and Visual Arts. Every summer, for ten days a year, the town stages a wonderful array of shows and events. 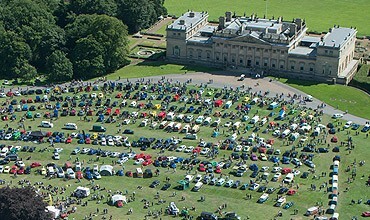 The UK's largest family friendly VW show. A full weekend of live entertainment, live music, VW’s galore and a great venue with a laid back atmosphere. Three days of tasty street food, fresh local produce, and delicious beverages in Hull city centre. A celebration of food and drink – from traditional dishes to worldwide culinary creations. Wensleydale Agricultural Show is a traditional dales show, located close to Leyburn, North Yorkshire in the heart of Wensleydale. Wensleydale Show features an extensive range of competitive events and lots of main ring family entertainment.